MKVToolNix recently released a new version 13.0.0 and users are recommended to upgrade to this version, because of bugfixes and new features added to this release. mkvmerge: MPEG-TS reader: information about multiple programs will be output as container properties during verbose/JSON identification. MKVToolNix GUI: multiplex tool: added a column "program" to the tracks list. Certain container types such as MPEG transport streams can contain multiple programs. The new column will contain the service name (think TV station names such as "arte HD") for such streams. 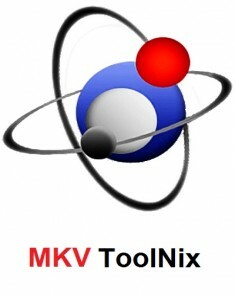 MKVToolNix GUI: multiplex tool: the dialog asking the user what to do with dropped files (add to current settings, add to new settings etc.) now remembers the previous decision and defaults to it the next time it’s shown.